NTU seemed like the perfect place, great city, great University and an amazing course with a very impressive reputation. 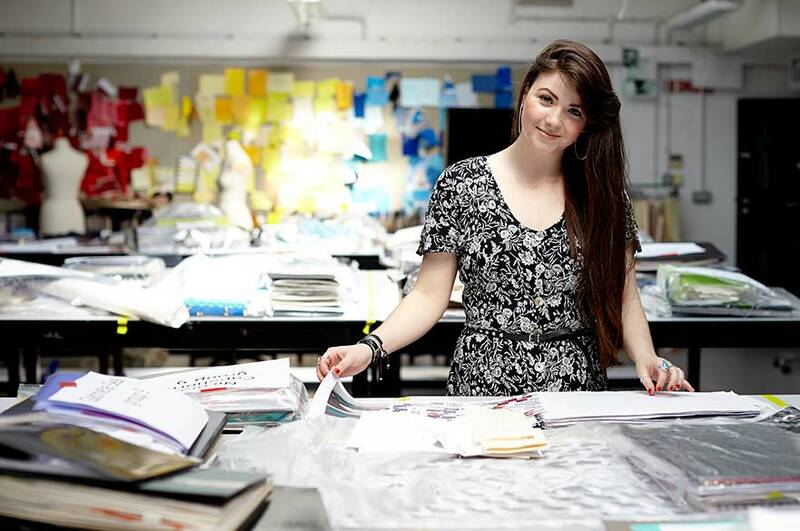 Elena (right in the picture), has recently graduated from our BA (Hons) Fashion Design course. Here she talks about her experience on the course. "I wanted to go to university in a city, but avoid London. NTU seemed like the perfect place, great city, great university and an amazing course with a very impressive reputation. "It's hard to say what I enjoyed most about my course, but I really appreciated the great relationships I built during my time at NTU. Not just friends, but tutors and technical staff too. I felt completely supported by all my tutors and technicians on Fashion Design, but also learned how to work really well as an independent designer, without their help too. "Over the summer between Year Two and Final Year, we received live briefs from both Abercrombie & Fitch and an American company called Old Navy, who both offered paid summer internships in Ohio and San Francisco for the winners. These were fantastic opportunities. After graduating Elena undertook a work placement in China with Crystal Martin working as an assistant designer in their lingerie design and development department. "I worked with Crystal Martin in Nottingham on my final collection and they sent me out to their head office in Zhongshan for six weeks after graduating. I was a contact recommended by Sean Prince, my fashion design tutor at NTU. "The placement has been absolutely great so far; I've only two weeks left now and I'm going to be really sad to leave. I've been so well looked after by the company and it's been amazing living in China. A very valuable experience! "I highly recommend students working with Crystal Martin in the future, they are a very generous and supportive company."